All Green Recycling is a certified and world-class e-waste recycling solution provider with optimized approaches to recycling, reusing, and remarketing EOL IT equipment. Let's recycle successfully your electronic devices. All Green Recycling is a certified solution provider. We crafted our ITAD Solutions with transparency and commitment. We have client portal for you. Choosing All Green Recycling is right if you want a company to help you delete sensitive files and data. Preventing the risks from data breaches can be done through destroying recalled and defective IT products. A well-planned electronic waste recycling is what you need in order to help this location become e-waste free and clean. Why is it very important? Well, all electronic junks can harm the environment and can cause fast depletion of the natural resources. Remedying these concerns is possible only with a responsive and eco-friendly solution. In this location, All Green Recycling is proud to offer Electronics Recycling Santa Barbara Services. These are designed with commitment of helping all landfills in this area to become free from old computers, printers, TV sets, and the like. As the county seat of Santa Barbara County, California, Santa Barbara is a popular tourist attraction and resort destination. There are five universities in this area, including University of California. Further, numerous parks, restaurants, museums, and other attractions are here. 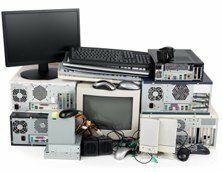 Click on the link below to schedule an e-waste pickup today. Saving the natural resources should be done for good. The impacts of lead, mercury, copper, cadmium, barium, and other hazardous metallic elements are not good. They really harm the environment which affects the sources of our food and water. We need to act now, not tomorrow. That’s why if you’re living in this town, you need to embrace All Green E-Waste Management System. Scheduling a pickup service is one good way for you to be able to reach to us. Or, if you can’t do it through our online form, you can simply find for our nearest location for item drop-off. Either way, you can start our environment-friendly approaches to recycling EOL IT equipment. Are you ready now to recycle your old electronics? If so, then it’s about for you to start letting us collect, treat, and process these items stored in your home or office. Contact us right now to learn more relevant details and information.